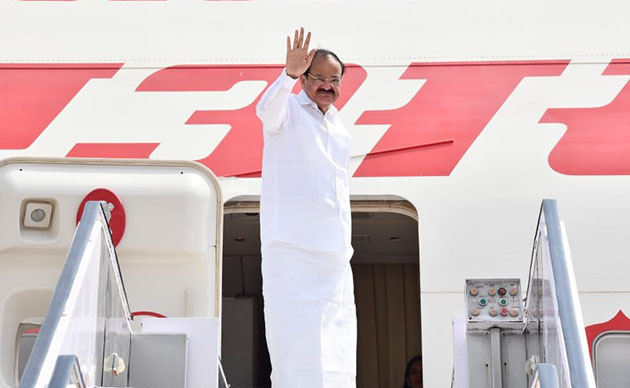 Vice President Venkaiah Naidu embarked on his three-nation visit on Friday afternoon. New Delhi: Vice President Venkaiah Naidu embarked on his three-nation visit on Friday afternoon. During the seven-day trip, the Vice President will be visiting Serbia, Malta and Romania. Ministry of External Affairs spokesperson Raveesh Kumar tweeted.